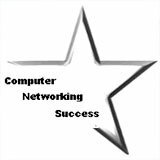 This tutorial will help you configure Windows XP IP settings to Obtain an IP automatically.The tutorial before showed you how to configure your home router DHCP settings. There are basically two types of IP settings you can configure. 1.) 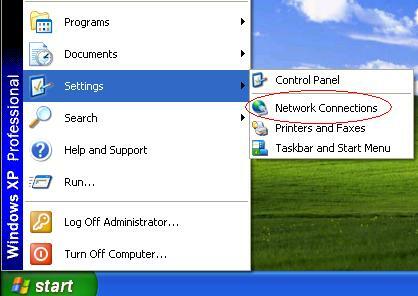 Click "Start" and when you hover the mouse on "Settings" a drop-down window shows and click "Network Connections". 2.) 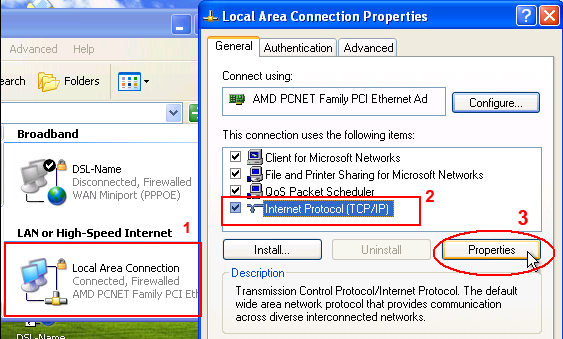 If a network cable is not connected to your computer's Ethernet port then right-click "Local Area Connection" and click "Properties". The Local Are Connection Properties window opens. Click "Internet Protocol (TCP/IP)" and click "Properties". NOTE: If this was the tutorial for configuring your wireless connections then you would choose the "Wireless adapter" instead of "Local Area Connection"
3.) The Internet Protocol (TCP/IP) Properties window opens. 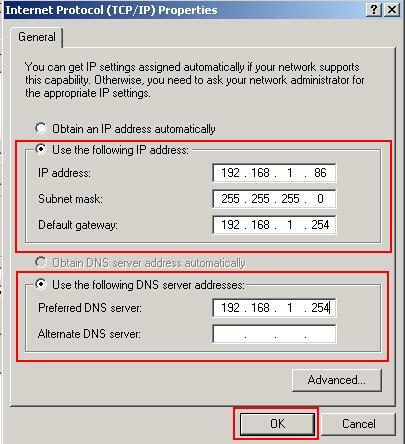 Make sure "Obtain an IP address automatically" is select along with "Obtain DNS server address automatically". Click "OK". 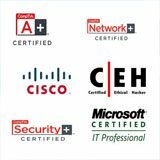 This will ensure that your computer will grab an IP address from your home router when you connect the Ethernet cable to them. 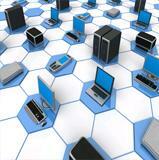 All servers, printers and routers on your network should be configured with a static IP. This will ensure that they are available for access when needed. If the IP settings were set to dynamic, then users would not know what they new IP address is and it becomes inefficient. Note: In your home network, your home router is running as the DHCP server. 1.) 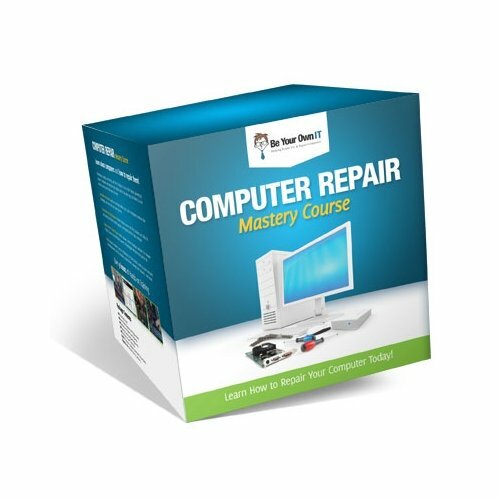 Follow steps 1 and 2 from above and when you get to step three you should see the The Internet Protocol (TCP/IP) Properties window. 2.) 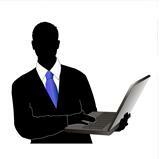 Click "Use the following IP address:" and configure the IP address, Subnet Mask and Default Gateway. 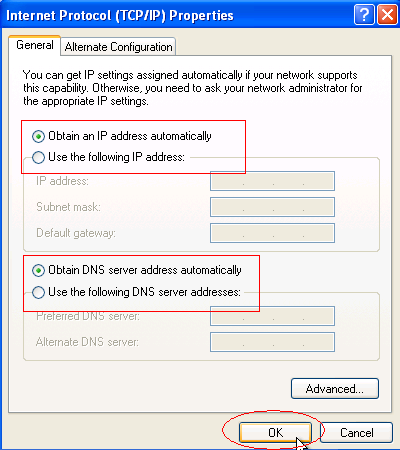 Click "Use the following DNS server addresses:" You can now configure the "Preferred DNS server" and "Alternate DNS server". You have now configured this machine with static Windows XP IP settings. Test your default gateway by pinging it in the command prompt or going to a website. Your default gateway IP address is usually your local router. This can be your home Linksys router or any other router. You have now configured your home network for wired use only.